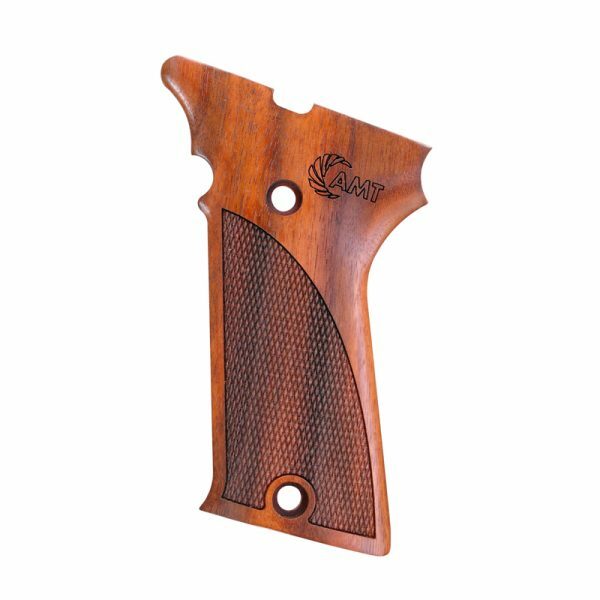 Auto Mag .44/.357 Wood Grips (Checkered with AMT Logo) - Vintage Gun Grips - Reproduction Pistol Grips, Buttplates and Grip Caps. 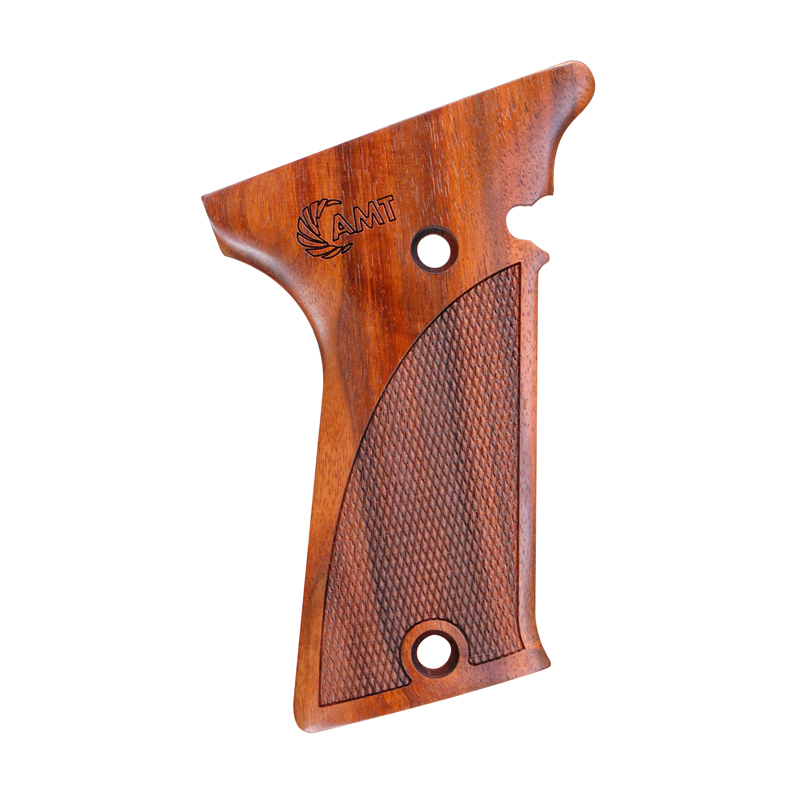 These fine wood grips fit all Auto Mag .44/.357 pistols. Made from English walnut and are not stained. Checkered with the AMT logo engraved. Oil finished.